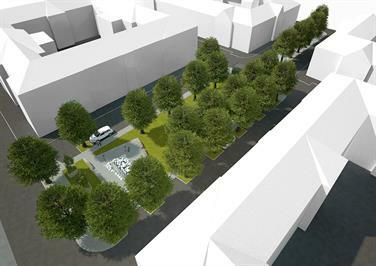 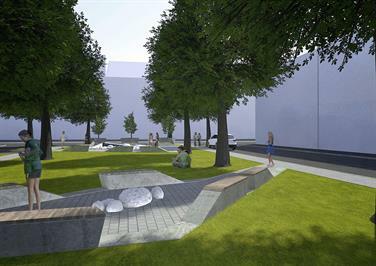 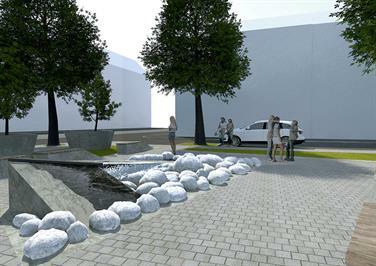 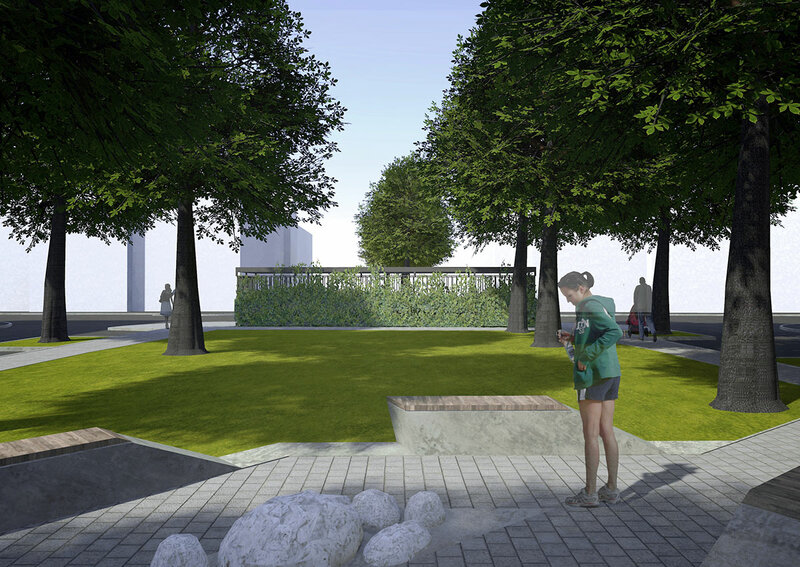 Architectural design and construction design of small park in Bratislava on Sadová Street. 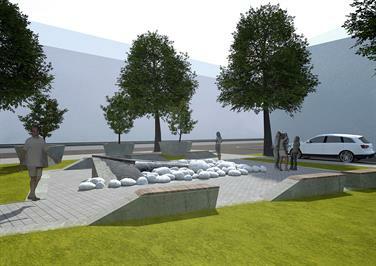 The aim was to restore the original park located in this area and design a new fountain, benches and solve parking for residents of nearby houses. 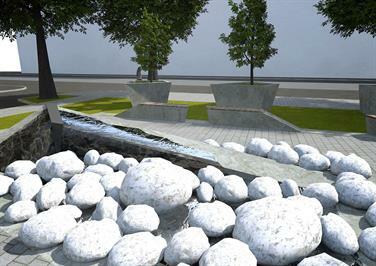 The fountain is designed as a sloping concrete volume sloping down to the two sides. 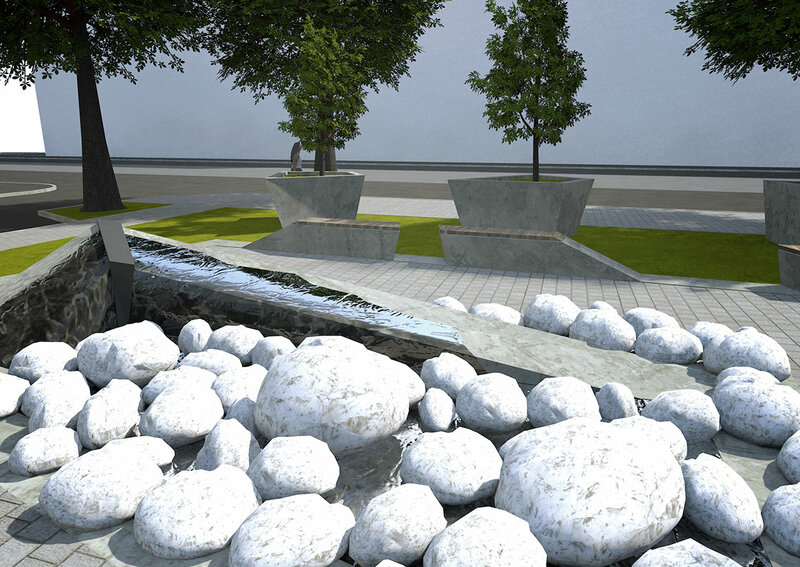 We designed small water area with white stones there, fulfilling both aesthetic function and, secondly, preventing dogs from bathing in the fountain.